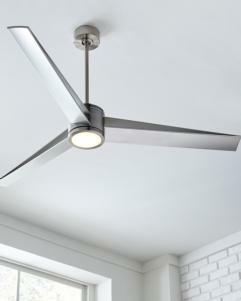 The Armstrong ceiling fan's unique design, with 6 blades meeting in three different points, sets this contemporary fan's style apart from its competition. 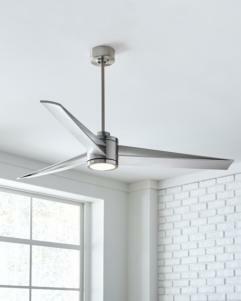 Armstrong is Damp-Rated, has an energy-efficient DC motor and includes a hand-held remote with 6-speed and reverse functionality. 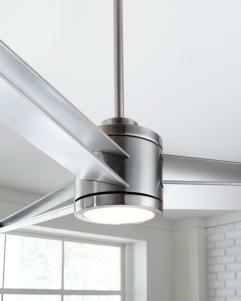 Blanking plate included for installations without light kit.